Remember how happy you were if your parents gave you a dollar for every A on your report card? They made you want to do it again, right? That's positive reinforcement. Dogs don't care about money. They care about praise … and food. Positive reinforcement training uses praise and/or treats to reward your dog for doing something you want him to do. 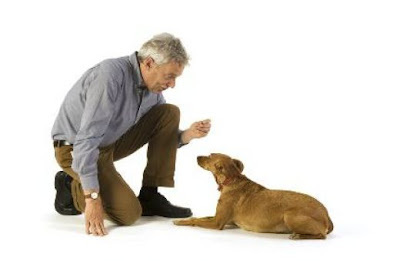 Because the reward makes him more likely to repeat the behavior, positive reinforcement is one of your most powerful tools for shaping or changing your dog's behavior. Rewarding your dog for good behavior sounds pretty simple, and it is! But to practice the technique effectively, you need to follow some basic guidelines.